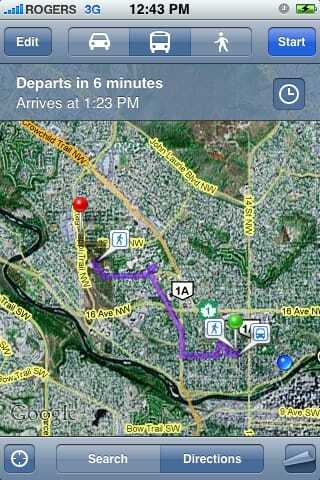 "Calgary Transit is now on Google Maps! Try directions on iPhone with 2.2+! Type in your from and to destination, and bam! #yyc"
Calgary Transit users can now use a special Google application to plan their trips on public transit. Google Transit, which is part of the popular Google Maps online application, allows users to plug in their point of departure and destination and receive detailed trip plans for how to get there by public transit. The results include detailed bus routes, the nearest C-Train station, schedules and transfers, as well as walking directions and a map. "We want to give users alternative options and make it as easy as possible for them to get information about our service," said Doug Morgan, manager of service design for Calgary Transit. Other cities, including Vancouver and Ottawa, already use the Google Transit service, which also exists for cities in Australia, Europe and Japan. 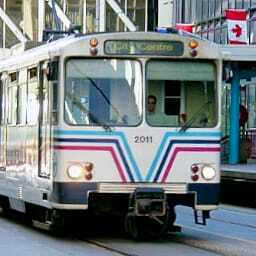 More than 95 million people used Calgary Transit’s 168 routes in 2008. The C-Train serves more than 280,000 people every weekday. Calgary Transit Now on Google Maps was published on Tuesday, February 17, 2009 at 12:45pm MST by Daniel Menjívar and last updated on April 11, 2018 at 9:30pm UTC .